The most successful team in F1 racing will start the 2015 season with a new one-seater. Earlier this month, Scuderia Ferrari unveiled a new F1 car – the SF15-T – sporting a new nose, a more tightly packaged rear end, overhauled suspension kinematics, and optimized brakes. Former champion Kimi Räikkönen again returns and will be joined by Sebastian Vettel as his new teammate. The 20-race season starts March 13-15 with the Rolex Australian Grand Prix in Melbourne. 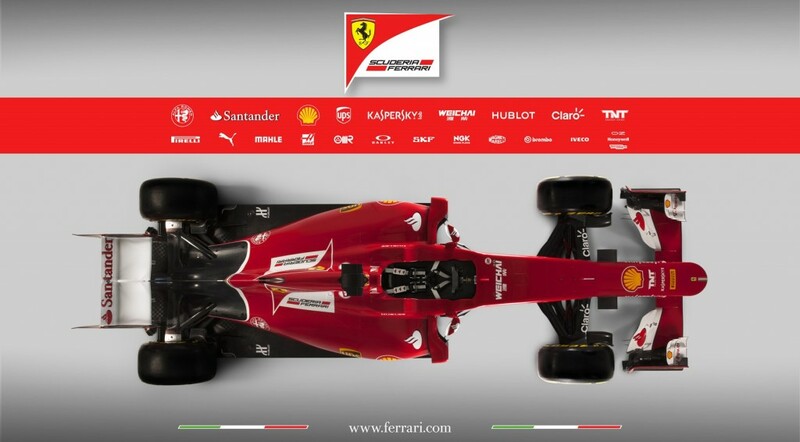 Click to the Scuderia Ferrari F1 site for a video of the reveal as well as driver and other interviews, and plenty of photography.